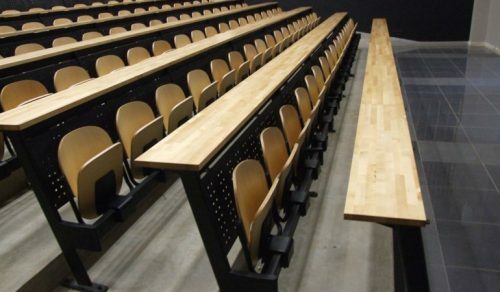 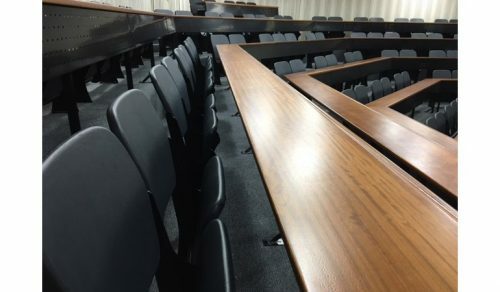 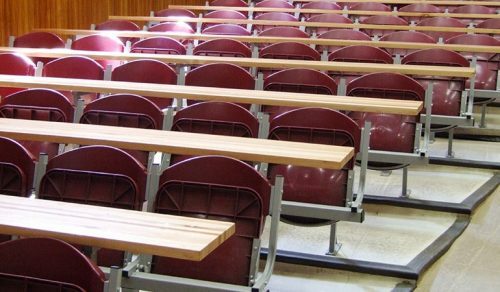 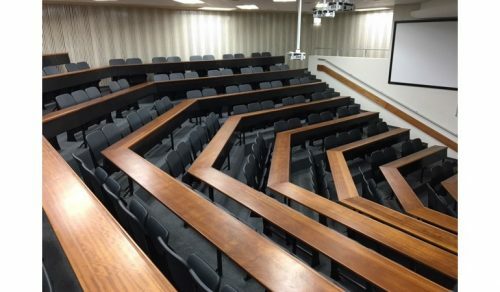 Swing arm seating units for the educational and corporate environment with various seat finishes, including polypropylene, laminated wood, fully upholstered with or without armrests. 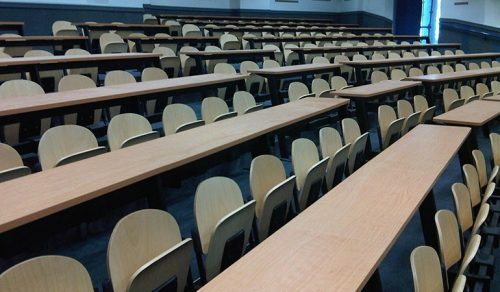 Elegant and robust, ideal for the corporate and educational environments, the Wing auditorium chair is SABS tested for structural properties. 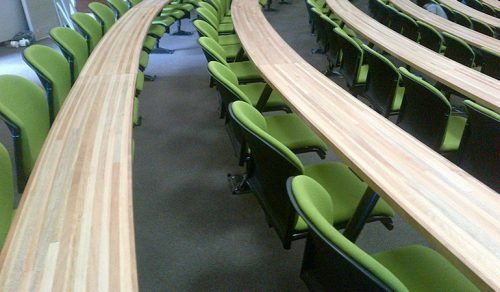 Available in a fabric of your choice, with fold away writing tablet option, as well as laminate backrest and seat options. 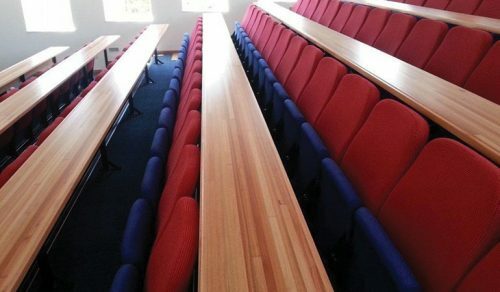 Wooden continuous writing surfaces finished to your specification. 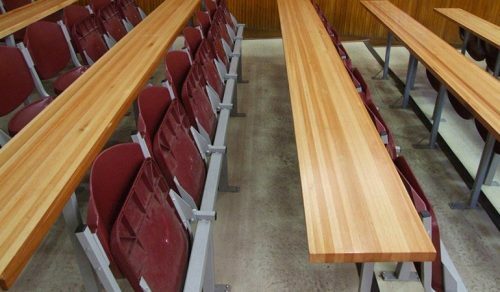 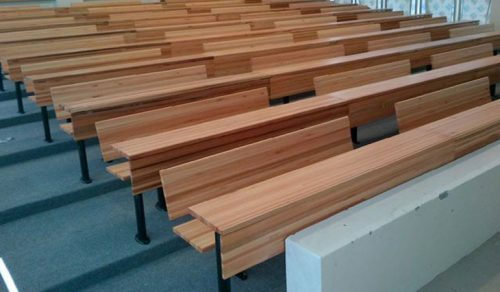 Solid Saligna Educational bench seating systems. 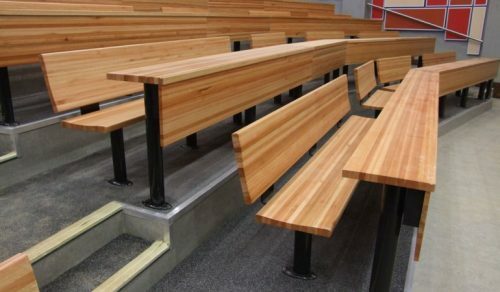 Extremely robust, whilst aesthetically pleasing. 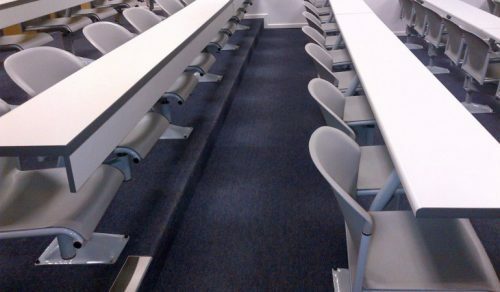 Budget friendly, durable seating option with continuous writing surfaces to your specification. 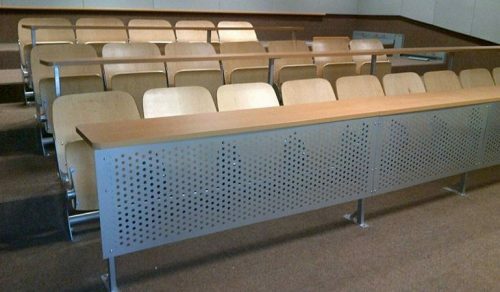 Designed specifically for the Educational sector.